And first, let’s get one thing straight: There's nothing wrong with you...and YOU don’t need fixing. Welcome! I’m Janice Masters, you’ve arrived at my site for Spiral Path Coaching and I’m glad you’re here! What is it that you want to change about your life? What is it that you want to create and invite into your life? What do you want more of, and less of, in your life? and you DO get to have what you want in your life. Along the Spiral Path we call ‘life’ all of that is waiting for you…and I’d like to help you discover it. …the answers to those questions are always at the center of what we do together. My work is an inviting and powerful blend of various approaches: the psychological, the emotional, the spiritual, the practical…and the art of manifesting miracles. So if this work sounds appealing to you, let’s have a chat about it. 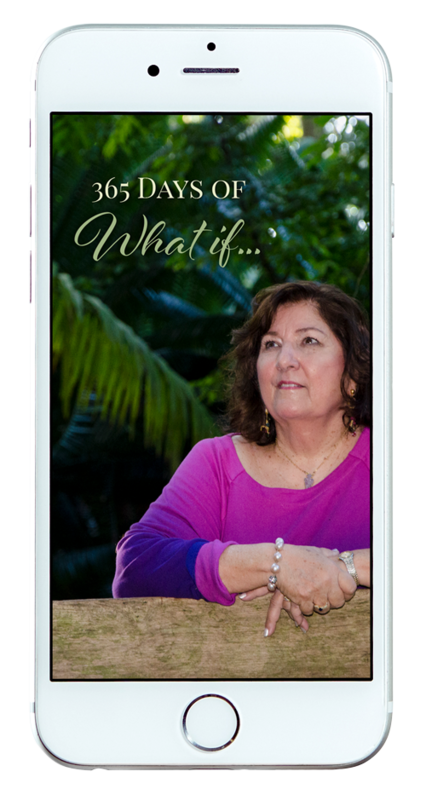 This daily email program of powerful, energy-shifting WHAT IF…? Quantum Questions will help you change your limiting thoughts and beliefs to ones that will support your dreams.